Especially in days like Black Friday and Cyber Monday, many people become obsessed with purchasing items online that they have been meaning to all year. In terms of commerce, these are the days when sales appeal to the customers and urge them to act quickly. When there is a bargain, chances are that people will want to obtain it! However, on these days – and practically on every single day, apparently – cyber scams tend to grow bigger and bigger. In other words, hackers and professionals of malicious intent seem to understand the growth of demand and act accordingly. 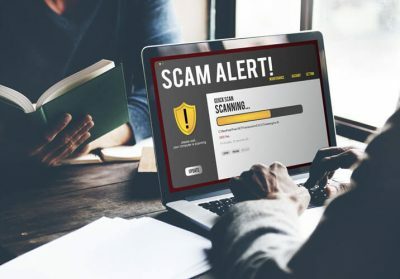 Now, what are the possible (most common) scams and what can you do in order to remain protected & avoid cyber scams altogether? Be Extra Careful with Mobile Devices: Due to their limited size, most mobile phones do not have adequate screen size that can offer great visibility to the users. So, it is easier for a scam to be successful. In case you cannot see all the details that are important to you, do not go ahead with buying something from your mobile phone. What is more, try to keep your device up-to-date with the latest anti-virus software and other similar programs. Pay Attention to URLs: It is common sense to purchase things from credible sellers only. This means that only trusted sites should be included in your shopping list places. Nevertheless, sometimes there are minor changes in the URLs that can mislead consumers. For instance, imagine cBay instead of eBay or Amazona instead of Amazon. These can lure people into trusting their content and eventually robbing them off their money. Evaluate Offers and Gifts: If something seems too good to be true, then it most likely is. In other words, you should not fall too easily for an exquisite offer that states “free gifts with any purchase” or other baits. Rather than that, read in between the lines and try to determine whether or not the offer is legit. In most cases, the result is for you to hand over personal information and end up with no gift or special offer whatsoever. Avoid Email Links: It is true what they say about opening untrusted emails, securing emails really require good amount of effort and common sense. They can be dangerous and the same goes for the email links included within them. So, even if something sounds interesting, verify the offer in another way. For example, you can Google it. Do not click on the email link that has been sent to you and particularly when the sender is not someone you know. If you take these simple safety precautions, it is certain that you will be able to buy securely whatever you want online during this cool season. Take advantage of the seasonal sales, without putting yourself and your computer at risk!